fNCI empowers us to understand which regions of the brain are functioning unhealthily after an injury. fNCI is an advanced form of fMRI that has been standardized for clinical application. fNCI is an imaging and testing protocol which includes six different cognitive tests performed inside an MRI machine. fNCI is measuring neurovascular coupling (NVC), which is the connection between the brain and the blood in the brain. In any given fNCI, we take over 7000 images of your brain in this 40-minute window giving us near real-time images of your brain. By the processing of these images, we can measure and understand the severity of an injury in 60 regions of the brain, and we compare each brain to a healthy control group. What is Neurovascular Coupling (NVC)? To understand why we use fNCI at Cognitive FX, you must first understand neurovascular coupling and its relation to a concussion. NVC is the connection between neurons (brain cells) and blood vessels. Neurons need a lot of energy to do their job. The blood vessels bring that energy to the neuron. 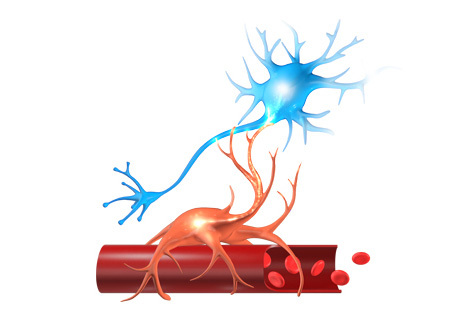 When an injury or neurological disorder occurs, the connection between blood vessels and neurons is strained. Therefore, the brain does not receive the correct amount of energy to work as it needs. This results in symptoms that include, but are not limited to, fatigue, headaches, attention difficulties, memory issues, sleep problems, and emotional distress. If symptoms persist for longer than six weeks, the patient is considered to have post-concussion symptoms (PCS). It does not work to simply treat PCS by treating symptoms alone. To effectively treat PCS you must treat NVC. This is where fNCI is such a powerful tool. fNCI scans look at how blood flows throughout the brain while the brain is at work. fNCI detects problems with NVC by determining where there is too little or too much activity in key regions of the brain. 60 Regions of the Brain. When looking at these individual regions, it is important to understand that you want to be as close to the middle as possible for each section. Anything that is extremely high or low is a measurement of dysregulation in neurovascular coupling (NVC). 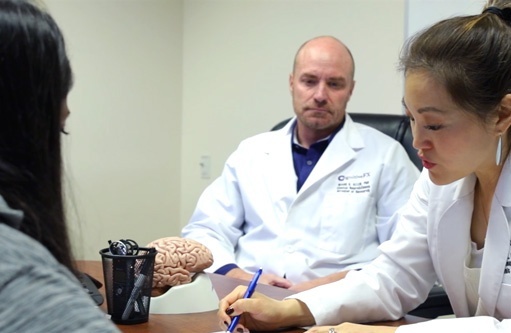 fNCI provides valuable insights to understand each patient’s brain. When we can see what is happening and we can see where the brain is compensating, using too much blood, or not enough blood we can significantly improve the way the brain functions in one week. 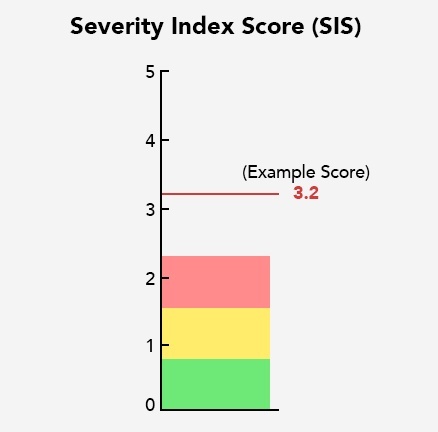 When you get your report, you will have a Severity Index Score. SIS is an overall score of the 60 brain regions we measure in the fNCI, and it is a comparison to the healthy control group. For example, if you have a score of 2.12, you are between two and three standard deviations away from healthy. The mean severity score for the healthy population is 0. 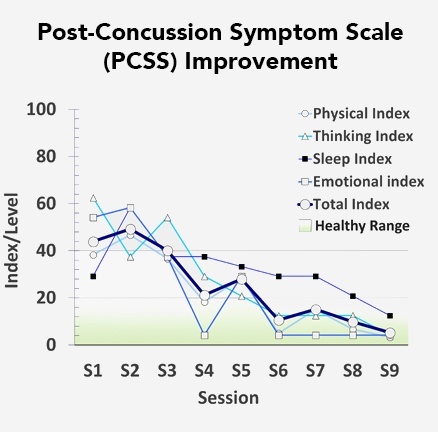 The mean severity score for concussion patients is 2.5. We have also found that regardless of where your score is on this scale your life can be drastically altered. Regional impairments contribute to a variety of symptoms. 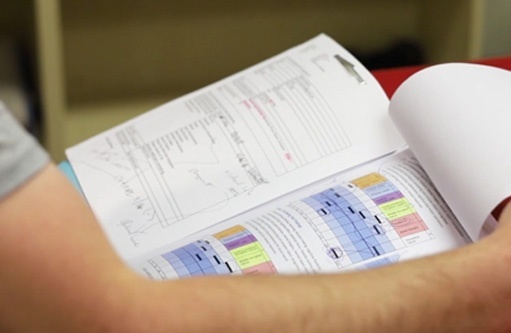 Occasionally, we find individuals very close to healthy such as a .81, but there still have other impairments which we see when looking at specific regions, and the biomarkers of their overall scan, which is why we review the complete fNCI report for each patient. 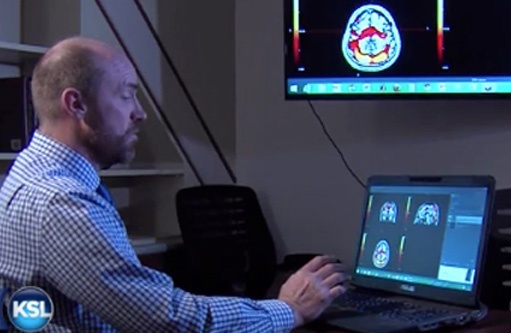 We have scanned thousands of concussion patients. In this database of concussion patients, we have found patterns of dysregulation throughout the brain unique to concussion or brain injury, establishing five biomarkers that are objective measurements of a concussion. 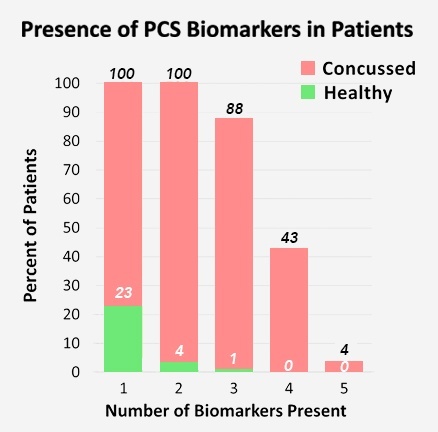 On average, 4% of concussion patients meet all five biomarkers, 43% meet four biomarkers, 88% meet three biomarkers, and 100% meet both two and one biomarkers. The majority of CFX patients meet at least three biomarkers at the beginning of the week and one biomarker at the end of the week. fNCI is administered in an MRI machine. 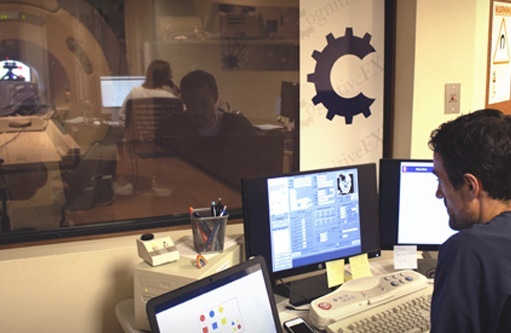 During the fNCI, each patient will go through a series of 6 cognitive tests while we are taking images of their brain. These tests are completed with a button box, and silently in each patient’s mind. Once each patient has completed their fNCI it is processed by our lead neuroscientist. We get a comprehensive report that gives us the results with an SIS, 60 region review, and biomarkers. Once your report has been processed, you will review your results in a report of findings. Typically, this will be within two business days of getting your scan. After the report of findings, and if a patient chooses to do EPIC Treatment, this scan is used throughout treatment to individualize each patient’s experience. This scan is also utilized in every therapy appointment to guide our therapists and trainers to do specific exercises to target the brain making patient’s appointments unique to each patient's needs. Here we will review common questions and answers about fNCI. What role does fNCI play in EPIC Treatment? fNCI is vital to the success of EPIC Treatment. Throughout treatment, our therapists and trainers will be targeting the areas of the brain that are hyperactive or hypoactive as measured by the fNCI. Because fNCI is measuring NVC, and during treatment, we are addressing the cause of the injury which is dysregulation of neurovascular coupling. Treating PCS requires addressing many systems that are at the root cause of the dysregulation including NVC. We do a fNCI scan at the beginning and end of each week so that we can measure improvements to NVC. Giving our patients clarity in how their brain is functioning before treatment and after treatment. What is the difference between fNCI & fMRI? fMRI has been around for over 15 years as a research tool, with occasional use in pre-surgical planning. fMRI detects changes in blood flow while a patient is performing a cognitive task, providing a three-dimensional map of the brain regions that are used to accomplish that task. fMRI is limited in its clinical application because it is not standardized, particularly for the use of understanding neurological disease or injuries. fNCI is an advanced form of fMRI because it uses an integrated system of fMRI development, administration, analysis, and clinical interpretation that overcomes the limitations and applications of fMRI. fNCI also has a standardize normative database making it more useful to understand concussion. Is fNCI the same as SPECT? No. fNCI utilizes fMRI and MRI technology that is non-invasive and does not use any radioactive materials to see what is happening in the brain. SPECT is an advanced form of a CT scan that uses a radioactive substance to produce an image. How long does an fNCI take? When you follow the full six cognitive test protocol, a complete fNCI takes around 45 minutes. Can you have an fNCI done at another location? Currently, Notus is not offering this imaging at any other location. In the past, it was used in hospitals around the United States, but it is no longer available. Notus Neuropsychological Imaging developed fNCI, and Cognitive FX uses this imaging protocol for clinical application. How is an fNCI processed? Our experts use their extensive knowledge of neuroimaging and neuroanatomy and advanced software programs to process images and compare them to a normative database. How much does an fNCI cost? This imaging can cost anywhere from $5225 to $3500. We offer full payment discounts making this scan less expensive.